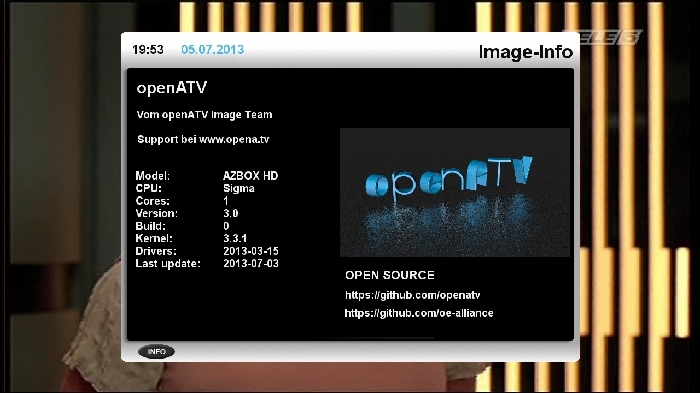 AZboxnews: OpenATV for AZbox released! Let's see what the guys of Myazbox.de did with some fundraising. Those guys ROCK!!!! First image on Azbox with running HbbTV. Also Opera as browser is included in this image. I can advise it espacielly for Azbox Me. Because this box have enough flash and RAM for HbbTV. press green button < again green button < extensions. 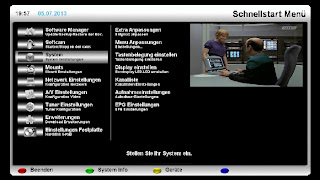 HbbTV you can install from feed online. You can find it in extensions < hbbtv 2.0. 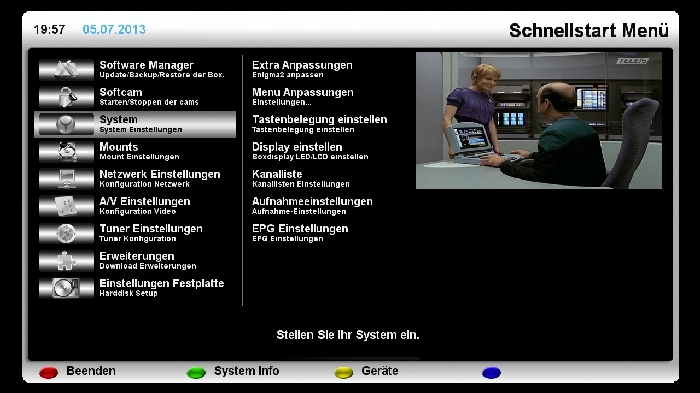 But with installed HbbTV the box will run very slow on old boxes. So I think, it would be better, not install HbbTV on old boxes. I don't understand. How can I first install the flashexpander plugin if FIRST I don't install the image?